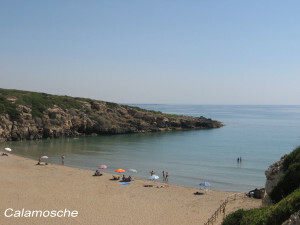 La riserva Naturale orientata di Vendicari è costituita da un tratto di costa di circa 8km ,574 ettari entro cui ricadono spiagge incontaminate, zone umide costiere e la macchia mediterranea. 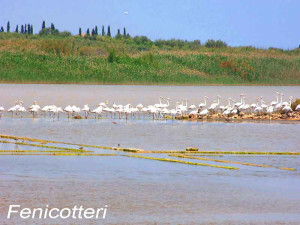 Il simbolo della riserva è la volpoca, sono state censite oltre 250 specie di volatili fra cui gli affascinanti fenicotteri. 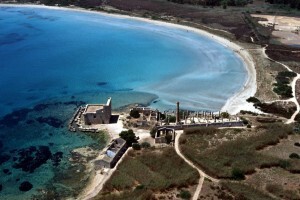 Le aree di interesse antropologico sono tre: il sito Archeologico di Eloro, l’area della Tonnara greco- medievale- moderna che fino al 1943 svolgeva l’attività di pesca e trasformazione del tonno rosso del mediterraneo, la Cosiddetta Torre Sveva edificata in realtà in età atagonese per il presidio della costa dagli assalti dei pirati barbareschi ed infine alla fine della riserva in direzione sud l’area di Cittadella con resti di un villaggio bizantino-giudaico ed una basilica bizantina la cosiddetta Trigona. 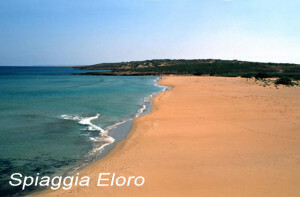 The natural oriented reserve of Vendicari consists of a stretch of coast of about 8km, 574 hectares in which there are uncontaminated beaches, coastal wetlands and the Mediterranean scrub. The reserve was established in 1984 but the real fruition was launched in 1989, for the protection of migratory birds and some plant species including the Cuddly Juniper. The symbol of the reserve is the shelduck, over 250 species of birds have been recorded including the fascinating flamingos. Inside the reserve, besides the animal and plant species, there are archaeological sites and remains of pre-industrial activities such as the salt pans and the Tonnara of Bafuto. 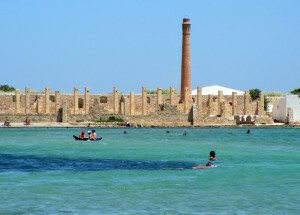 The areas of anthropological interest are three: the archaeological site of Eloro, the area of the Greco medieval modern ​​tuna, which held the fishing activities and the processing of Mediterranean redfin tuna until 1943, the So-called Torre Sveva built during the atagonese age for the defense of the coast from the attacks of pirates and finally, at the end of the reserve, heading south, the Citadella area with the remains of a Byzantine-Jewish village and a Byzantine basilica called Trigona.